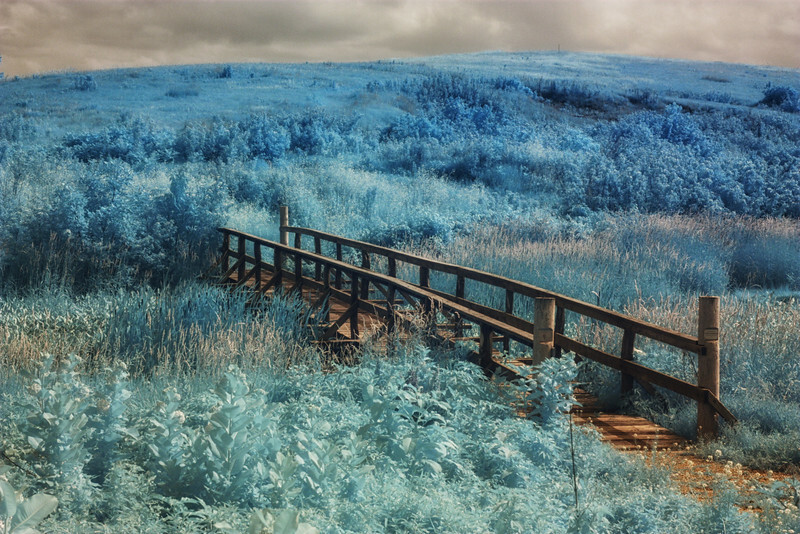 I am fascinated with recording the invisible light known as near infrared in all of its surrealistic and odd beauty. 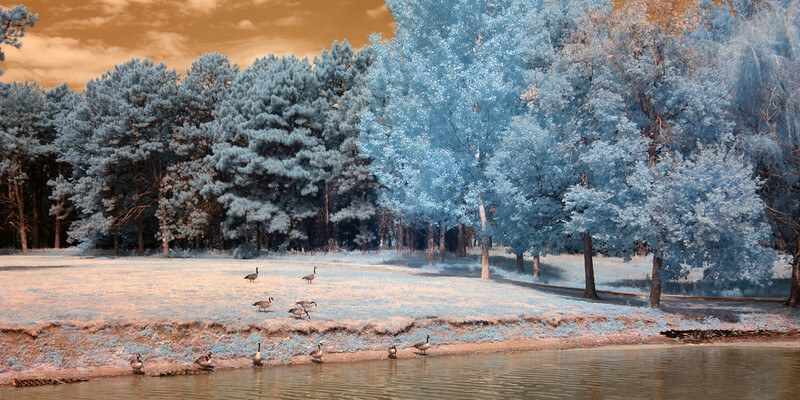 Near infrared energy is light that we cannot see. 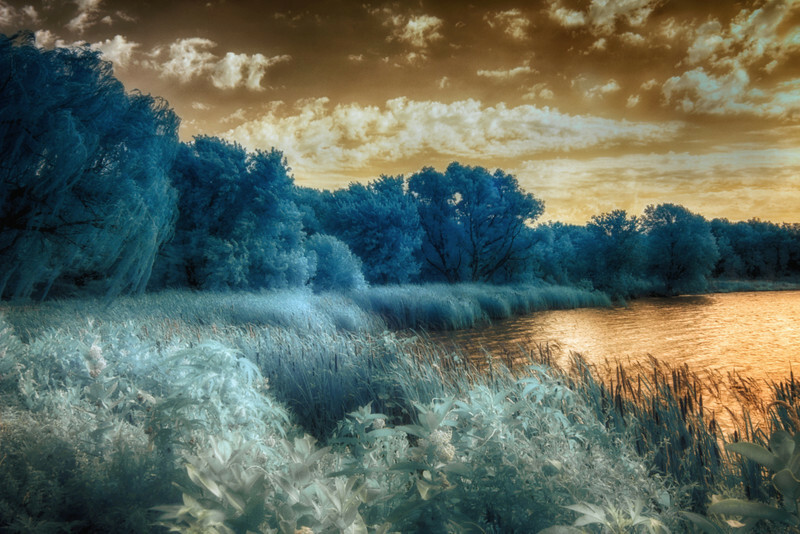 It exists on the radiation spectrum beneath visible light. 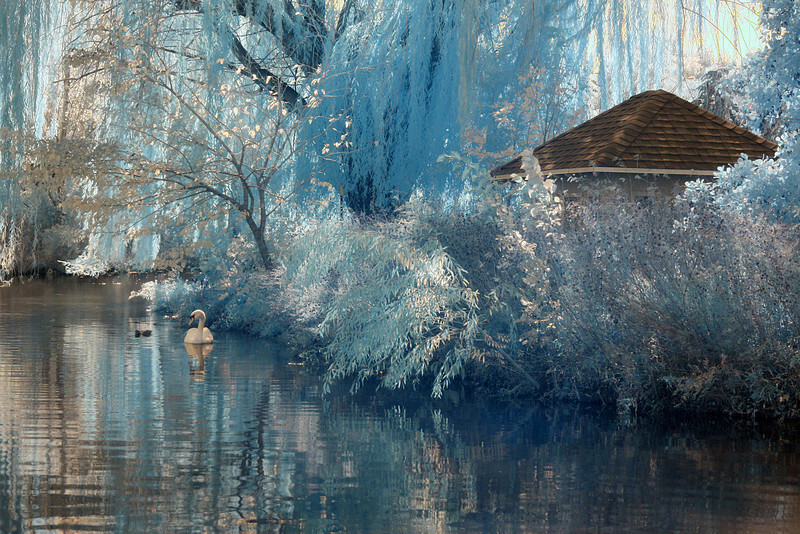 However, with special infrared filters, I can capture this light to create surreal, ethereal, magical and dream-like images. 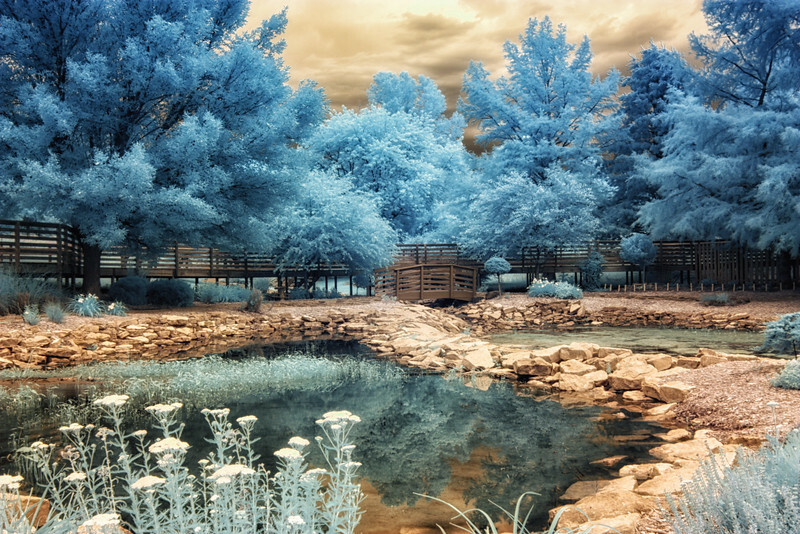 Infrared photography allows me to travel to an alternative, alien world, and bring that imagery into our known world. 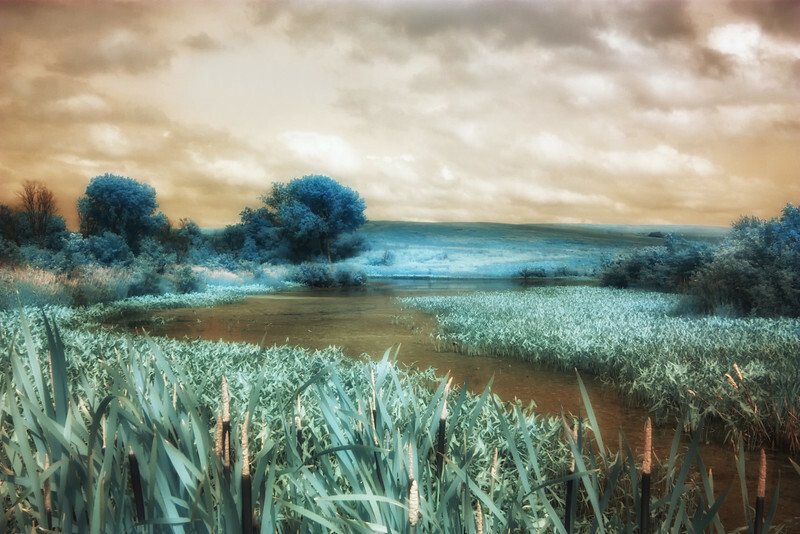 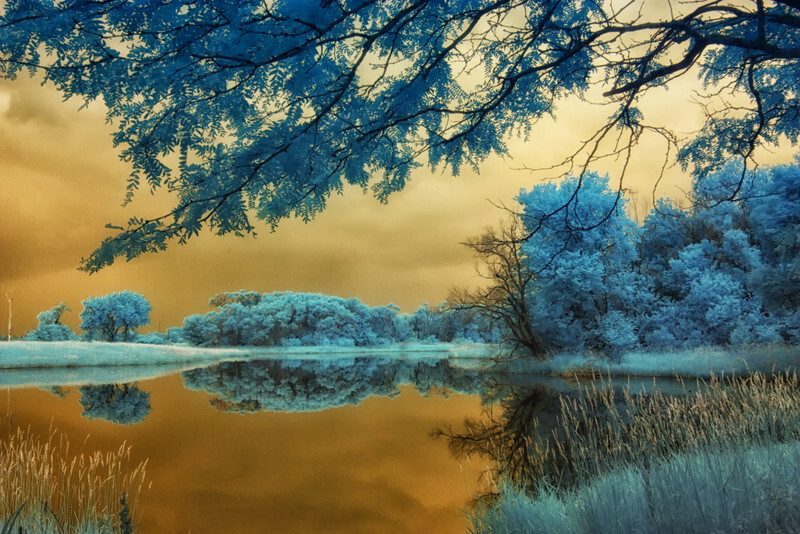 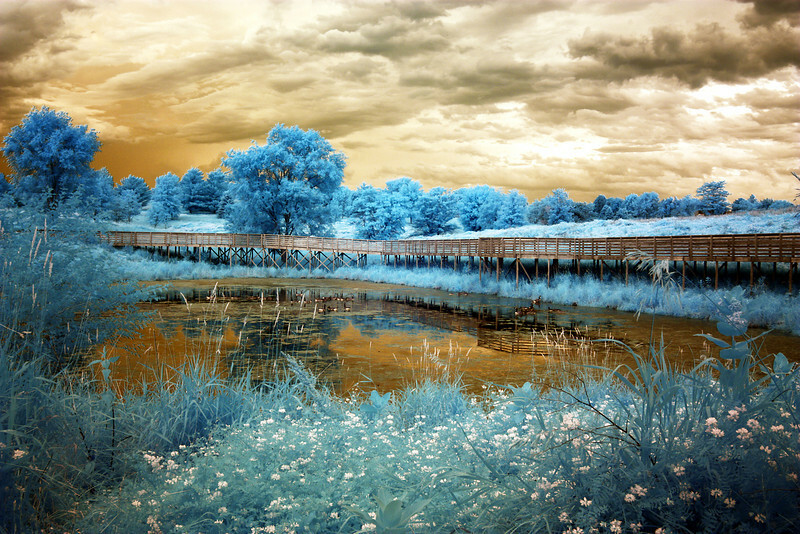 The images in this gallery were shot with a digital camera converted for infrared photography. 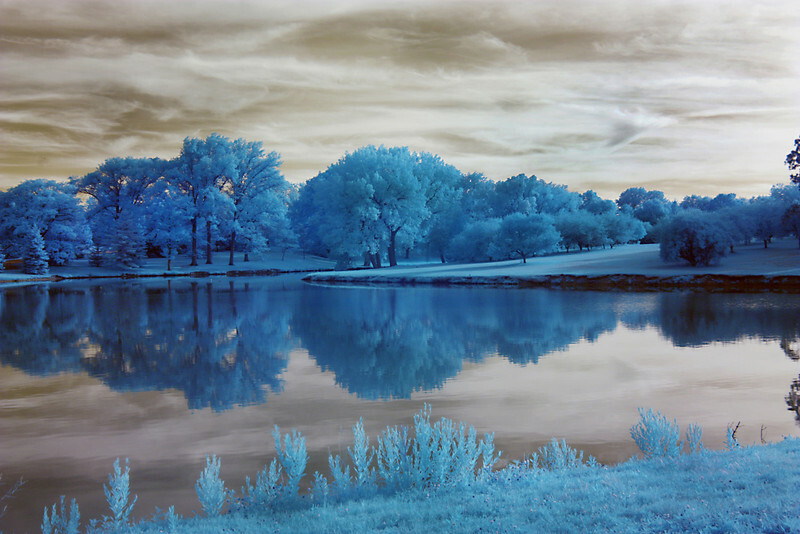 In converted cameras, the infrared filter sets inside the camera, in front of the digital sensor. 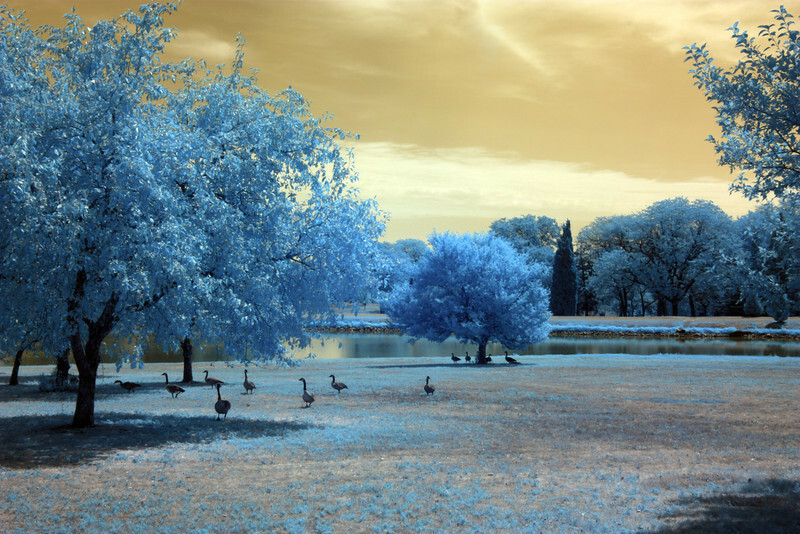 The filter used for these images is call “super-blue” or the equivalent of a 720mm infrared filter. 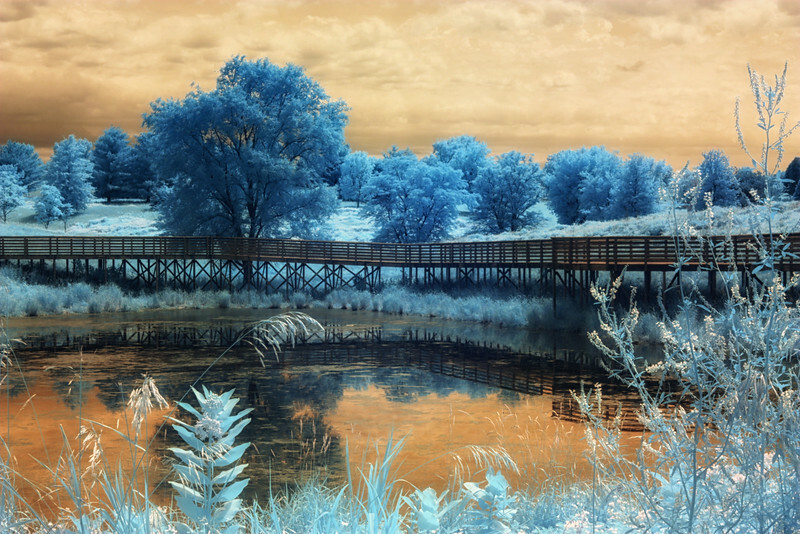 To achieve the bluish effect, a white card was used for white balance. 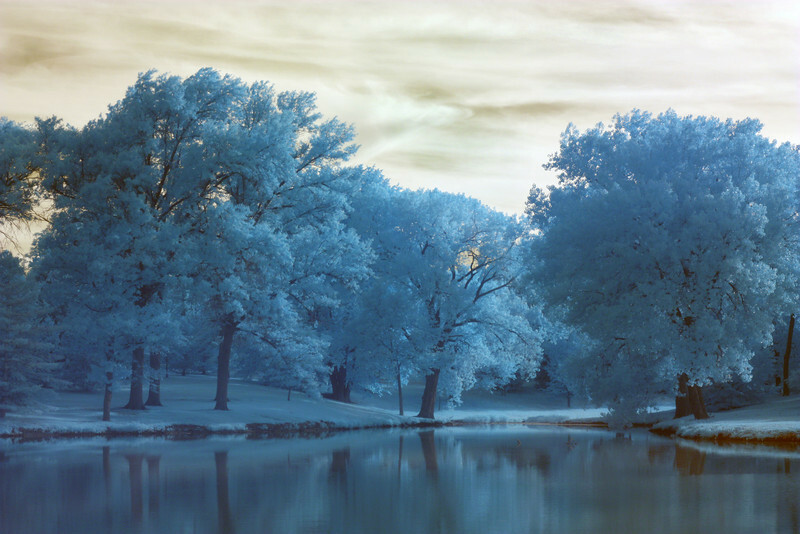 Blue Wyuka Dream, Wyuka Cemetery, Lincoln, Neb. 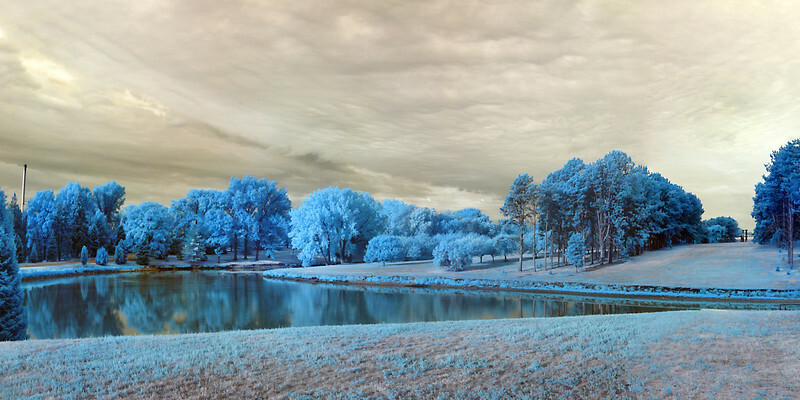 Pawnee Lake Recreation Area just outside of Lincoln, Neb. 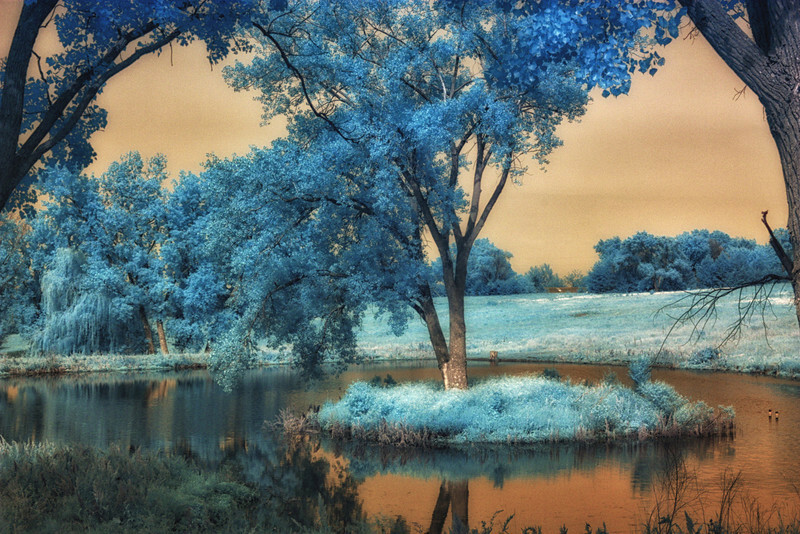 Farm Pond, Nebraska City, Neb. 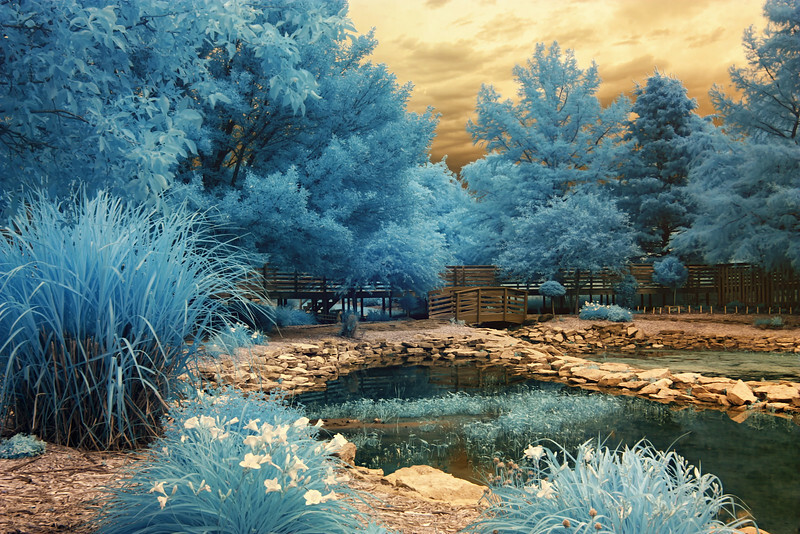 Pond at Pioneers Park Nature Center, Lincoln, Neb. 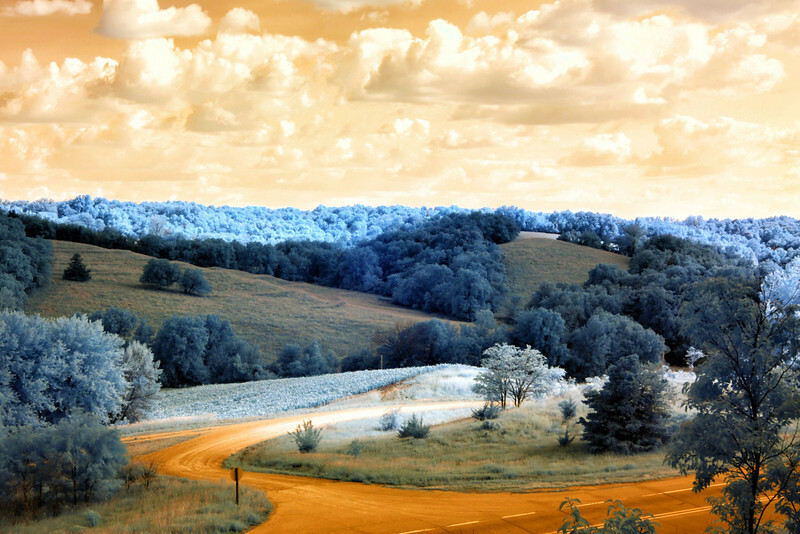 Apple Orchard, Nebraska City, Neb. 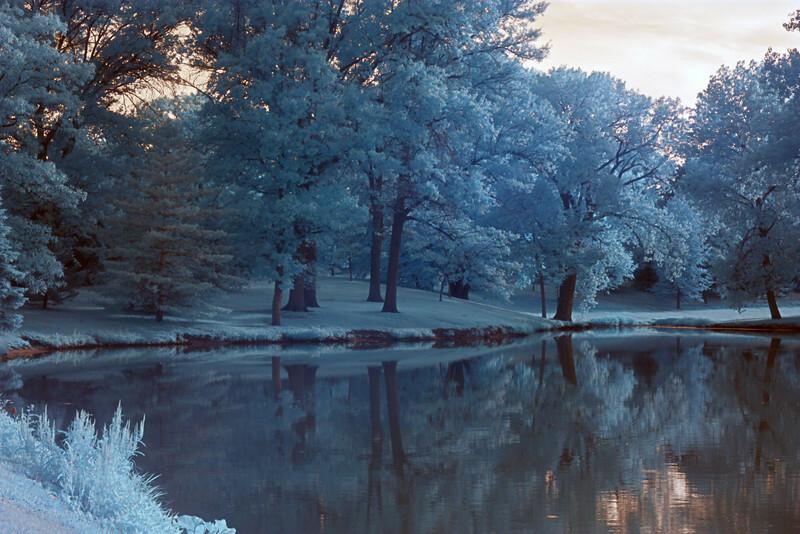 Lewis & Clark Center, Nebraska City, Neb.